Maybe check that bed before you jump in! THE MOST VENOMOUS spider in Ireland has had a population boom and may try to get into your home this winter as the weather cools. Experts are predicting an increase in the number of sightings of the false widow spider for the coming weeks. The spider has increased in numbers after a warm and wet summer, but they’re now heading indoors as temperatures drop. What’s happening is they have reached their maximum size, they are ready to breed, they want to find each other so they accidentally come inside houses. 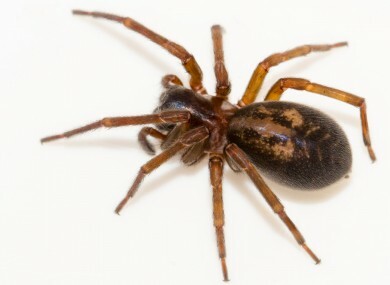 The false widow spider is the most venomous of the 660 species of spider in the UK and Ireland. But don’t panic too much, experts say they present no more risk to humans than bees or wasps. Email “Ireland's most venomous spider is on the increase and is heading indoors out of the cold”. Feedback on “Ireland's most venomous spider is on the increase and is heading indoors out of the cold”.